According to Manservizi, the List of Joint Steps covers four areas. The first one concerns passport and ID security features, detailing specifications for biometric passports and the capacity of built-in chips for passport-reading scanners at the border. It also specifies the procedure for exchanging information on lost or stolen passports. The second area covers ways to fight illegal immigration, and points out the need for a common approach to border protection and joint border traffic controls. The third area concerns security coordination. “A visa-free regime implies the freedom of movement, something criminals may take advantage of for money laundering and drug or weapon trafficking,” said Manservizi. Finally, the fourth area of the joint steps, called International Relations, envisages implementing an anti-discrimination policy providing fullaccess for citizens to any documents they need to travel as well as the right to free movement within the country where they live. Apparently, the intention here is to simplify Russia’s internal registration procedures, which today raise a lot of questions in the European Union. The final text of the List of Joint Steps is expected to be approved at a EU-Russia summit June 9–10 in Nizhny Novgorod. “At the moment it’s a document in progress. It will be publicly released once it’s approved at the summit,” Manservizi said. Moscow and Brussels have already agreed on a number of visa-free travel requirements that are unlikely to change during further negotiations, however. First of all, they agreed that, if signed, the agreement would only cover holders of biometric passports. The parties have also agreed that any visa waiver will only apply to short visits of up to 180 days in total each year. The territory to which the future agreement will apply is another issue. Not all EU members belong to the Schengen area (Romania, Bulgaria and Cyprus,) and the Schengen agreement covers some countries that are outside the EU (Switzerland, Iceland and Norway). Moscow and Brussels want the visa-free travel agreement to apply to the Russian Federation on the one hand and to the Schengen area on the other. Although the new Russia-EU arrangements have been widely acclaimed as a breakthrough, a final agreement might still be a long way away. The EU insists that Russia abolish what Brussels sees as discriminatory immigration rules. The criticism is directed not only toward the need to fill out an immigration card upon arrival in Russia, which EU countries don’t require, but also the requirement to register with the immigration authorities once in the country. 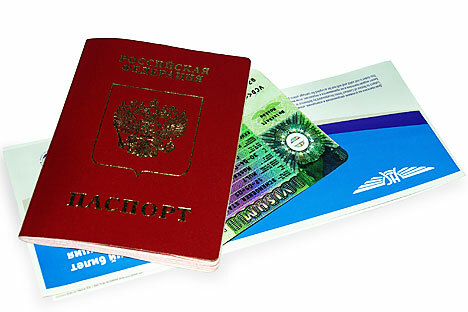 The burdensome and expensive procedure requires a party hosting a foreigner to submit a copy of their passport, a notice of their arrival, and their immigration card to a local office of the Federal Migration Service (FMS) within 24 hours, or send all of this by mail, accompanied by a 180 ruble service fee and a 2-ruble tax for each day of stay. Only after the FMS returns a notice endorsement with the necessary stamps to the hosting party will the guest’s stay in Russia will be considered legal. The Russian Foreign Ministry says these procedures could be abolished automatically once a visa-free travel agreement is signed because international law takes priority over national legislation.